The world today has now transformed with the arrival of e-commerce websites. There are various online stores available where customers can purchase a variety of products. For a successful online store, a well designed and developed -commerce site is vital. Magento is considered one of the best platforms to develop e-commerce websites. It has a robust structure with broad features. Developing an e-commerce website is a great choice. For developers who are aiming a career in e-commerce website development, sound knowledge of Magento is mandatory. There is wide scope for Magento e-commerce developer in the industry. But to make an entry in magento website Development Company, you need to have certain essential skills and knowledge. Here I have come up with some of the effective tips for getting into any Magento development services. It doesn’t matter how much experience you have in programming, before learning anything new always start with the basics. Build a decent and solid foundation by understanding Magento programming to be a skilled programmer. You can take the help of tutorials you find helpful, be a part of online discussions have knowledge of the basics. Companies always seek for the aspirants, who have some good certifications, and to show your career their availing a certification in magneto would be an ideal choice. 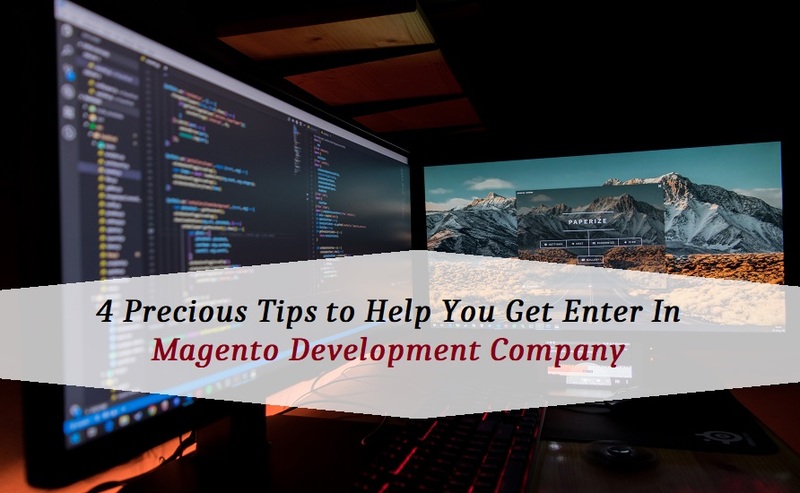 You can go for the magneto certification exam and if you cleared it you would be officially recognized a Magento developer, but for that, you should have a solid knowledge of the basics. You can certainly improve your programming skills and also the chances of being better than others by undergoing certification program. It will increase your credibility as it displays that you have a professional level ability which others don’t have. Read some relevant Magento articles and blogs as it can certainly improve your knowledge. You can keep yourself updated with the technological advancement after reading them and get to know about any advanced functionality improving you as a Magento developer. The best thing about this is that if you have any question in mind, you can post it in the discussion section and get all your answers. Once you have done with coding, analyze it again and again in order to check and find if there is a way to optimizing it and making it smoother. Don’t be in hurry, prepare your resources and take only one or two projects at one time so that you gain deep insight and valuable experience. When you code more, chances of mistake increases, you can improve your skills accordingly by analysis. There are various Magento events that take place on regular basis around the world. You should start to be part of such event as it you will get to learn a lot from the fellow developers who have expertise in such domain. Such events are vital because Magento developers meet each other thoughts and views and exchange their ideas. It will beneficial to participate as you will come to know about some interesting things about Magento. One of the major differences between a skilled developer and a developer is the urge of putting question tags. It is always a good practice to write code with whys and how’ so that you exactly understand what will happen during the execution. As a developer, you should go in deep to understand every single concept, functionality, and code that you write. The programmer should have in-depth knowledge of all the methodologies and technical fields, which are the basics for those individuals who build Magento websites. The programmer needs to be well versed with the technology and comprehend how systems and web servers operate. He should be also familiarized with various software programs, Web programming languages, and Web applications. Be creative and have a good knowledge of art and design fundamentals are also required. The programmers must have a keen interest in knowing the advanced concepts and updates related to his portfolio. This helps them to gain in-depth knowledge about the limitations and development of the web industry. Having a sound knowledge of back-end, front-end, Magento extensions, and customized themes could help programmers in creating better customer oriented websites. Development is the method of innovation and to achieve a commercial leap, you need to hire a web developer from a Magento website development company who look to explore the new ways to solve your website problems. The creativity of a programmer is a great benefit for them. They develop creative and innovative shopping stores that hold customers back to the site. A skilled programmer must possess an imaginative perspective to create future-proof strategies for your brand. 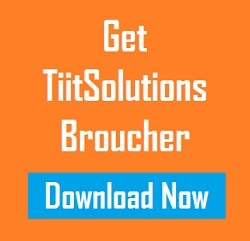 Such developers are capable of developing a full-featured website from scratch. A skilled Magento developer will always be an expert in designing Custom CMS Themes. The developer must have customization skills to customize a CMS theme as per the requirement of the client. There is a growing demand for CMS software on Magento websites, while CMS is one of the major benefits of Magento. This is crucial because a good website should have a unique design that meets with brands the best way while attracting potential customers. There is always a need for e-commerce integration on a business website. Thus a skilled Magento developer should have a sound knowledge of e-commerce integration with various platforms. Another thing to consider in mind is includes free, ad-supported services that are being developed in the coming time. The programmer should have development skills that help in making the data more portable, interactive and viral. These skills bring innovations in the web development field and implementing them in any of the e-commerce website could attract numbers of customers by making it reachable to them. 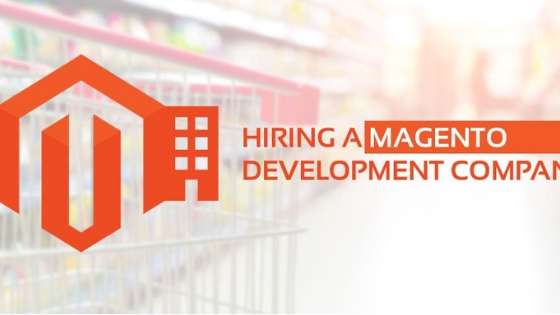 As a Magento programmer, you must have sound problem-solving skills. While creating an e-commerce website, you will find number of coding as well as designing problems. You need to be sorted out those critical problems in order to get an effective online store at the scheduled time frame. Owing to the growing demand of e-commerce websites, the Magento ecommerce website development has increased by many folds. As a result the requirement of Magento developers has subsequently increased. The essential characteristics of Magento programmer have become quite severe. He should be perfect in dealing with several problems and scenarios. The tips mentioned above will certainly help a programmer to get into Magento website Development Company. These tips will help developer to make a good image in the company and also helps in his success as a developer. About Merry Waran is a Marketing Manager at AIS Technolabs which is Web design and Development Company, helping global businesses to grow by Magento website Development Company Services. I would love to share thoughts on Social Media Marketing Services and Game Design Development etc.